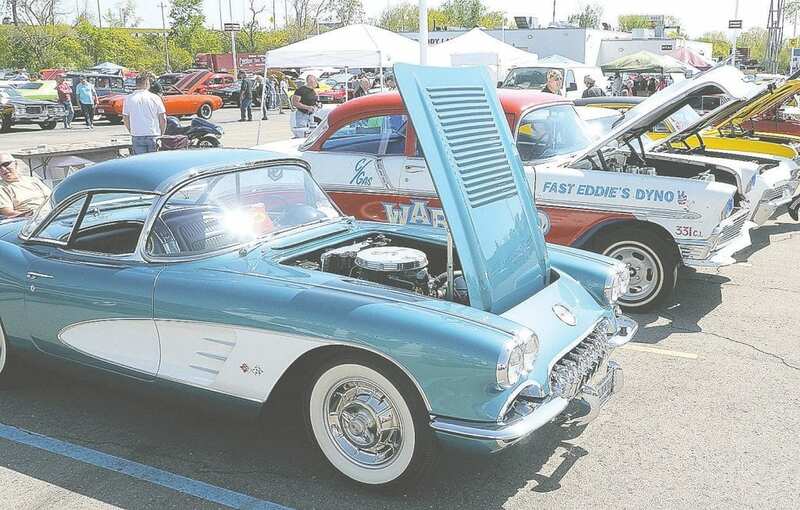 Baker College’s Flint campus will be the venue for the campus’ Community, Cars, Bikes, Crafts & College event, May 21, 9 a.m.-3 p.m., 1050 W. Bristol Rd. The free, public event is an expansion of the college’s popular annual Car and Motorcycle Show, which featured nearly 500 vehicles last year. New activities include demonstrations and interactive displays by Baker College students, community arts and crafts booths, and a kids’ zone with a bounce house. There is still time for arts and crafts vendors to reserve free booth space. Phillip Whitmer, Baker College of Flint dean of transportation technology, said the record-breaking crowds that have attended previous Baker College Car and Motorcycle shows will have even more to see and do this year. For those who want to show their car or motorcycle, free registration is onsite 9 a.m. to noon. The first 100 entries will receive dash plaques, goodie bags and lunch vouchers. Awards are for the top 25 cars/trucks, top 10 motorcycles, President’s and Dean’s awards for both categories, and Best of Show, as well as recognition for car clubs that exhibit. In addition to vendors of automotive-related items, food and drink will be available and a disc jockey will provide music. To reserve space for car clubs, bike clubs and vendors, contact showinfo@baker.edu or call 810.766.2263. The largest private college in Michigan, Baker is a not-for-profit higher education institution accredited by the Higher Learning Commission. Founded in 1911, Baker grants doctoral, master’s, bachelor’s and associate degrees, as well as certificates in diverse academic fields including applied technology, business, education, engineering, health science, information technology and social science. Baker College has on-ground campuses throughout Michigan and offers online programs that can be completed 100 percent online without ever visiting a campus. In 2016, the Online Learning Consortium recognized Baker College Online with the OLC Quality Scorecard Exemplary Endorsement, the highest ranking for online higher education programs.